When you read to the end of the letter, though, you will notice that the prophet asks you to “please send your written acceptance promptly.” I’m not aware of any specific deadline for writing this letter. I assume promptly means within days or a week at most. I also presume if you don’t send that acceptance letter within a couple of weeks, you or your stake president will be getting a call from the Church’s Missionary Department. When I received my mission call, way back in the 1990s, acceptance letters were sent through the mail (snail mail, that is). 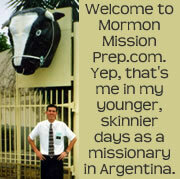 Nowadays, acceptance letters are sent through the same missionary online recommendation system you used to send in your original application. You’ll log in and sending in your acceptance letter will be as easy as sending an email. Now, with regard to what should be included in your acceptance letter, Elder David B. Haight, formerly of the Quorum of the Twelve Apostles, once spoke about the mission call acceptance letter. You may want to read his words as you consider what to say in your letter. Included in the packet is a page that may go unnoticed at first. It is a form, the Missionary Call Acceptance. This is a personal letter in which the missionary, addressing the First Presidency, formally accepts his or her missionary call. The form contains 15 lines on which the missionary expresses feelings about the singular opportunity of serving the Lord. The letters are usually handwritten, brief, and direct. Yet these few words speak volumes and convey deep meaning. Behind each one is a faith-promoting story. …In accepting a call to serve, the missionary is expressing sufficient faith to act on his or her beliefs. Blessings will inevitably follow, as so many returned missionaries can testify. Faith in the Savior becomes an anchor to the soul. In the acceptance letter, many missionaries state, “I gratefully accept my call to serve.” But I wonder how many missionaries realize the implications of the word accept. It means to receive willingly something given or offered; to respond favorably to; consider right and proper. It also means to be admitted into a group or community. In a gospel sense, it implies submission to the will of the Lord and willingness to follow the prophet, who extends the call. The mission “call” is to serve the Lord with all one’s heart, might, mind, and strength. The mission “assignment” is to serve in the assigned field of labor. The acceptance letter implies willingness to accept both the call and the assignment as the Lord’s will. Numerous acceptance letters speak of sacrifice. The young man quoted above was well on his way to fulfilling a life-long dream to play baseball in college, and then perhaps enjoy a career in professional baseball. After ponderous and prayerful thought, however, the answer was certain: he was to serve the Lord. Once the decision was made, his priorities in life became clear. …Prospective missionaries write about giving up a prized car, a girlfriend, music, a lucrative job, and many other things. Too many allow such worldly treasures to blind them to spiritual opportunity and divert them from their foreordained mission. On the other hand, we are continually amazed and gratified by those who forsake all to serve the Lord. …Missionary Call Acceptance letters reveal a wealth of spirituality and faith. My own faith is continually strengthened by those who accept calls to serve God, who allow their love for the Lord to overshadow their fears, and who submit willingly to the call of our living prophet. I pray always that every eligible young man, and also every young woman who so desires, may experience the wondrous adventure of a mission. A Spiritual Adventure, David B. Haight, New Era, June 2000. Just a few days ago I had one year and five months left to prepare to send my mission papers in. But now I down to just five months because of the minimum age change to eighteen. What do you suggest I do to make up for this lost time? What do you do if you keep feeling that you were assigned to the wrong mission? I want to serve with all my heart but I can’t shake the feeling that my assignment is somehow off and praying has not cleared anything up. I want to accept my call but this is holding my back. I’ve been thinking a lot about your situation, but I’m not sure what to tell you other than to advise you to go forward. Continue to prepare for your mission, go forward in faith, enter the MTC, and go serve in the field. In time, I am confident that you will receive a testimony from the Holy Spirit that you are serving your mission in the right place. Faith precedes the miracle. “Dispute not because ye see not, for ye receive no witness until after the trial of your faith” (Ether 12:6). Good luck. I will pray that God will bless you. your reply is awesome! thankyou ! I think you should be fine in waiting a week to open your call letter. Good luck. I received a mission call but seem to have lost my acceptance letter. What should I do? Aali, when I received my call I literally sunk in my chair and said, “You gotta be kidding me.” I was so disappointed in my call, as I would be serving in the USA. Little did I know that I was going exactly where I needed to go and that I would connect with and ultimately see hundreds of people enter the waters of baptism. Where I served I taught people from several other states and many countries around the world. I would have never had any of those opportunities had I not pressed forward and trusted that the Lord knows exactly what He is doing and where I needed to serve. I have no doubt the same is for you. Wherever you have been called, there are people that need to hear the gospel from YOU. Have faith and commit yourself to being the best missionary you can become in that place. Make yourself available and God will make you capable. Aali, the Lord knows how you desire so serve in His vineyard. Know this, that the “call” is for you. And the Savior may say to you as he did to his disciples on His earthly ministry,”You have not chosen me, but i have chosen you, and ordain you to preach my gospel to all the world.” Aali, i want you to know, i know the Savior Himself Personally, because “HE ALLOWES ME” to come to know Him. Not because “I” allows on my timetable but “HE ALLOWS ME”. GO TO HIM, AALI, FOLLOW HIM, ALLOW HIM TO LEAD, AND YOU FOLLOW, EVEN WHEREVER HE GOES, GO WITH HIM. I know He loves you so very much and Painfully loved you, such love cause him, “even God, the greatest of all, to tremble because of pain, and to bleed at every pore, and to suffer both body and spirit—and would that I might bnot drink the bitter cup, and shrink—”(D&C 19:18)In his holy name i testify, even Jesus Christ who love you so much. Amen. Jimmy i would like to post my comment on this site as a living testimony to all who “RECEIVE A CALL” from the “THE LORD”, which then the Prophet sign on your “CALL LETTER”. That “SIGNATURE” by the First Presidency means, ” That the Lord ACCEPTED YOU TO LABOR WITH HIM IN HIS VINEYARD”. I know that the Lord lives. He is the Savior and Head of this Church. HE DIRECTS HIS PROPHETS OF WHAT TO DO, AT THE WHICH THOSE “SIGNATURE” ARE SHOWN IN YOUR MISSION CALL LETTER. I know what i say and commented on. IT IS TRUE. I KNOW THAT MY REDEEMER LIVES. In the name of Jesus Christ, Amen. Good evening brothers and sisters, my mission call have come and am not okay with the call, and because of that i don’t know how to write the acceptance letter. so i got my mission call and was wondering if i could write my acceptance letter online and submit it there? I’m not aware of an online place to submit your acceptance letter. What does your call packet say about it? It should provide instructions on sending in the acceptance letter. well i signed into the missionary portal page and then it asked it i wanted to write my acceptance letter and then it took me to a page online where it asks if i accept my call, has a section to write a response, and a submit button. I too had the same prompt appear on the missionary portal page. I have long served my mission. I received my mission call in 1994. 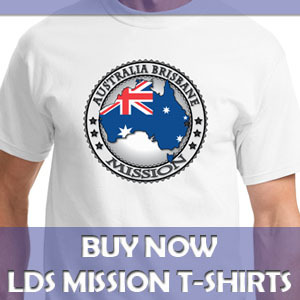 I was wondering if the missionary department keeps copies of the mission call letters ? I have lost mine and would like a copy. They only thing is that I act have two calls because after getting my call and serving 5 months in one mission I was sent home and then two months later I was assigned to another mission and relieved a second call. I’m sad I can’t find them because I was called under two different prophets. Thanks in advance if you have information to help me ! I’ve received my mission call about a month and a half ago but I can’t get rid of the feeling something is off. I’ve tried praying for peace about it but it just won’t come. I havent written my acceptance yet. I’ve considered rejecting the call and I’ve prayed about it and actually got a feeling that I should. I would love to go to this mission but I just cant shake that. I’m most likely going to reject it. but o don’t know what happens of I do. Do I get reassigned? Or do I have to go through doing the papers again? Or just not get to go? What happens?? I received my mission call, and have accepted my mission call online before endorsing my form with my bishop. I missed the hard copy form, and didn’t get my bishop to endorse it, yet. I will continue to follow the directions given, but I’m a bit nervous of what will happen. Do you think everything will still be fine? How can i know if my mission acceptance letter had been sent.